The Inn at Sunset Hill is a premier mountain resort inn with a 9-hole golf course. 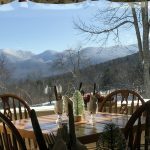 The spectacular views of the White Mountains to the east and Green Mountains to the west cannot be compared to any other resort of this size in New England. 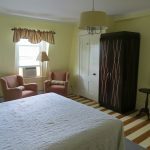 The property for sale consists of two quintessential New England Lodging facilities containing 28 renovated and tastefully designed guest rooms. A true taste of elegant country living, the Inn at Sunset Hill brings together the rustic charm of the White Mountains and all the modern amenities that guests will expect and enjoy. 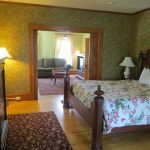 The main building is a 3-story Inn with guest rooms complete with private baths and interior hallway entry. The current owners have refreshed and refurbished all guest rooms during the past couple of years. 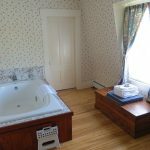 All rooms and common spaces have wifi access and 32-inch flat screen TV’s, and many rooms boast mood-setting fireplaces and luxurious jacuzzi tubs as well. Alongside updated living areas, the Inn features a welcoming reception area with a refreshed and attractive dining room with ample windows giving way to fantastic mountain views. Many guests enjoy the comfortable bar/pub to relax and unwind after a day of golfing or skiing. 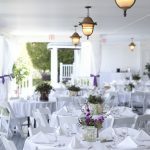 The property also includes an expansive function room and licensed covered porch that are ideal for hosting weddings and group functions. The 3-Story Hill House, containing 7 guest rooms with private baths and modern penthouse style apartment, are perfect for an owner’s quarters. 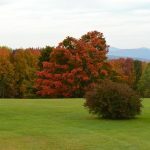 The Sunset Hill Golf Course was established in 1897 and is New Hampshire’s oldest 9-hole course. The golf course utilizes more than 26 acres and features six par 4 holes and three par 3 holes. The historic and rustic clubhouse, with its 700-square foot covered porch and 420-square foot wooden deck, provides guests with an area to socialize and relax. All greens have irrigation where water is provided by a well. Real estate taxes for the golf course are approximately $3,000. New drilled well which compliments an existing spring all feed through a filtration system and stored in two 2,000 gallon tanks. Two very large leach fields one being available for overflow. Sugar Hill is a quaint and picturesque town nestled in the heart of New Hampshire's White Mountains. The area is rural, with a residential population of less than 600. 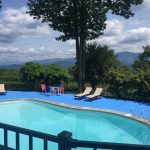 Well known as a resort community, Sugar Hill has exquisite views of the Presidential, Franconia, Kinsman, and Dalton White Mountain Ranges. Visitors come to the area year-round for the breathtaking views, hiking, skiing, history, and adventure. Enjoy the great outdoors in beautiful Northern New Hampshire by visiting the Flume Gorge, a natural gorge extending 800 feet at the base of Mount Liberty in Franconia Notch. Or, check out Franconia Notch State Park, which includes lakes and beaches, picnic and camping spots, an aerial tramway that takes you to the top of Cannon Mountain, and numerous hiking trails that will lead you to breathtaking landscapes of the Notch. In the winter, ski or snowboard numerous mountains within 30 minutes of Sugar Hill. Hungry? Polly's Pancake Parlor, minutes away from the Inn at Sunset Hill, has been serving delicious home cooked meals for 75 years. Enjoy a stack of oatmeal buttermilk, buckwheat or whole wheat pancakes; savor a waffle of your choice smothered in real New Hampshire maple syrup; or come for lunch and have a slice of quiche made with local Harman's cheese. For the nature enthusiasts, Squam Lake Natural Science Center is a family-friendly facility that spans many acres in the neighboring town of Holderness. Take in the beauty of New Hampshire's wilderness as you walk among wildlife including whitetail deer, bobcats, and black bears in their natural habitats. The Gephard animal Trail and the Kirkwood gardens are a must see, and for the true adventures, enjoy a boat ride on Squam Lake. The M/S Mt. Washington is another local favorite found in Meredith. The boat has been completely modernized and is under the care of an award-wining hotelier Sean O'Kane. The trip offers spectacular views, good food, and fun activities. Or, if you're more of a land lover, explore Mt. Washington, New Hampshire's highest peak by foot, rail, or car. The Town of Littleton is a local joy, with a rustic downtown full of galleries and shops. For the historians in your group, visit Saranac Street Antiques on Main Street. Next, stop by Chuck Theodore's Gallery and Bishop's Ice Cream. In Tilton, the Contreras Gallery in the Tilton Block offers a display of watercolor paintings; Jax Jr. Cinema is an old-time movie house for rainy days; and the Coffeepot is a quintessential breakfast spot. 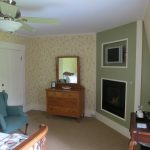 The White Mountains of New Hampshire are well known for their quaint country Inns. 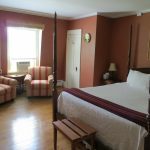 There are a few very well known Inns in the Franconia Notch area, each offering a different range of amenities, quality of rooms, and guest room rates. 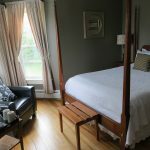 We believe the Inn at Sunset Hill has the most to offer as it relates to their position in the market with a very favorable room rate that still allows the Inn to exceed the guests' expectations.